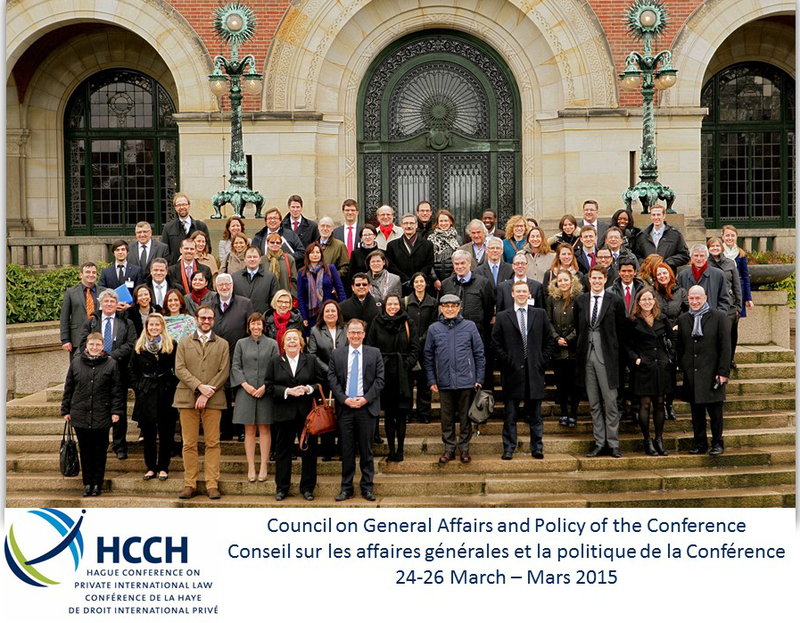 From 24 to 26 March 2015, Members of the Hague Conference gathered in The Hague for the meeting of the Council on General Affairs and Policy. The Council was attended by a record 180 participants, representing 64 Members, one admitted State, two interested States and observers from 16 IGO / NGOs. The Council reviewed the work of the Organisation during the prior year and charted the course for future work. Some of the key decisions included the continuation of the Judgments Project as a priority topic, the establishment of an Experts’ Group to explore the feasibility of advancing work on the Parentage / Surrogacy Project, studying the desirability and feasibility of co-operation in respect of protection of tourists and visitors abroad, the establishment of an Experts’ Group to investigate the issues that may arise with the use of video-link and other modern technologies in the taking of evidence abroad, and the approval of the Strategic Framework for post-Convention assistance as prepared by the Technical Assistance Working Group. The full Conclusions & Recommendations are available in English and French.